After dropping two straight scraps, one of which cost him his UFC lightweight title to Eddie Alvarez, former champion Rafael Dos Anjos (pictured) has decided a change of scenery is necessary. 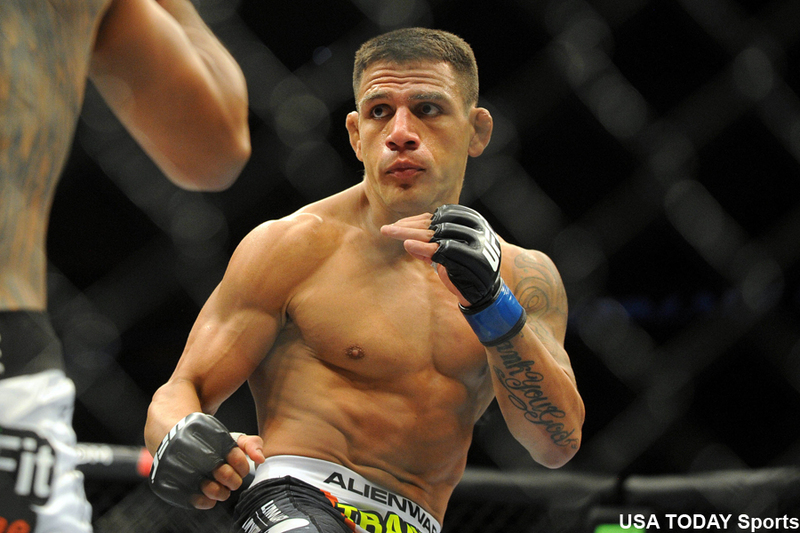 On Friday, Dos Anjos announced he is making the transition to welterweight. Dos Anjos had rattled off wins in 10 of his past 11 outings prior to his current skid. The 32-year-old’s most critical victory during that torrid run was in a landslide victory against then-champion Anthony Pettis to capture the lightweight crown. Dos Anjos went on to successfully defend the belt against Donald Cerrone before getting TKO’d in the first round by Alvarez in July. Alvarez went on to lose the strap to Conor McGregor in his next fight. Speaking of McGregor, Dos Anjos was supposed to defend his belt against McGregor at UFC 196 but was forced to withdraw at the last minute with a broken foot. That would have been the biggest payday of Dos Anjos’ life, by far. No word on when Dos Anjos will make his UFC welterweight debut.